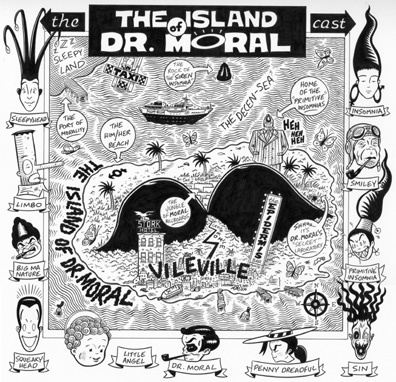 This is the Cast Page from The Island Of Dr. Moral paperback from 1994. Created just for this book, it features all eleven major characters in the story and a map of the "Dr. Moral universe". 10" x 10". India ink on bristol.